There is no better way to enjoy your vacation than spending it with your loved ones. But when we think of going on a vacation or even having a day out with friends and family, we often think about “normal” activities such as going to the beach, exploring an amusement park, or visiting another city. Other than those “been there, done that” vacations, what else can you think of as a recreational activity that you and your family can enjoy? When the city life gets stuffy and stressful, we all just want to take a break and relax in a laid-back environment. 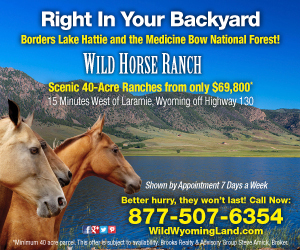 What better place to experience that serenity than surrounded by nature on a beautiful horse ranch! Going on a ranch adventure is a perfect way to have a different and enjoyable vacation with the entire family. You and yours will be able to enjoy a broad range of fun and exciting activities that will appeal to both adults and kids alike. The slower pace of life at the ranch has a lot to do with its beautiful and peaceful environment surrounded by magnificent animals like cattle and horses. If you want to have a different kind of fun with your family and learn new things, visiting a ranch and immersing yourself in the farm life can be refreshing since it’s something that you simply cannot experience in the city. No doubt about it, a ranch vacation is distinct from any other kind of holiday you can think of. If you want to experience what it’s like being a cowboy for a day, you should visit a guest ranch that will have you feeding and taking care of the animals, helping out with the ranch chores, and even cleaning out the barn. But these aren’t the only things that you can do in a ranch resort. If that’s too much work for you, there are guest ranches that offer a wide selection of fun activities that you can do like horseback riding, skiing, river rafting and other exciting activities. Some resorts even offer spa services for guests to pamper themselves after a long day of ranch work. Since nature is well within your reach, you and your loved ones can also enjoy campfires, singalongs, and even experience the exhilaration of sleeping under the stars if you wish! When you live in a busy city where everything seems to move so fast, it’s easy to become overwhelmed by the never-ending pace of modern life. Taking some time to slow down and reconnect with nature is one of the most rewarding and relaxing things you can do to treat yourself to a well-deserved break. Plus, those who come from the city often find life at a ranch quite fascinating. Breathe in and enjoy the fresh air, listen to the sounds of a quiet and peaceful atmosphere, and feel the calm stillness of nature while you enjoy a carefree routine of ranch life. Ranch resorts are also a great place to take the kids. Not only will your children have fun with all the activities at the farm, they will also be able to learn and experience a new way of life. After all, it’s very important to see different ways of living and working that doesn’t involve a laptop or smart phone. Your kids will surely love and enjoy riding horses and feeding them, along with countless other fun activities they will remember for a lifetime. 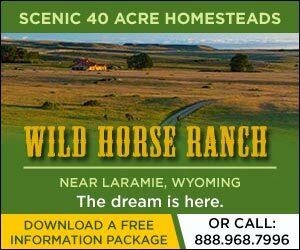 If you are planning on taking a vacation for more than a day and want to experience ranch life for several days, many ranch resorts offer comfortable accommodations to visiting guests. These can range from simple tents and cabins, to fully equipped and luxurious lodges if you don’t feel like “roughing it”. No matter what you decide, it’s always nice to wake up to the sights and sounds of a ranch first thing in the morning. Enjoy it with a nice cup of fresh coffee and it’s guaranteed to put a smile on your face for the rest of the day. Going on a ranch vacation enables you to meet new people from all walks of life. City slickers, tourists, nature lovers, you name it. When you’re at the ranch though, it doesn’t matter who you are or where you’re from. We all have an inner cowboy or cowgirl that’s just waiting to be released, and there’s nothing like experiencing the simple tranquility of ranch life that can forge new friendships that can last a lifetime. Whatever you’re looking for, as long as you’re open-minded and willing to get out of your comfort zone, there’s something for everyone at a ranch resort!